Author: Dowd, Siobhan Set In . . . Description: Ted and Kat watched their cousin Salim board the London Eye. But after half an hour it landed and everyone trooped off–except Salim. Where could he have gone? How on earth could he have disappeared into thin air? Ted and his older sister, Kat, become sleuthing partners, since the police are having no luck. 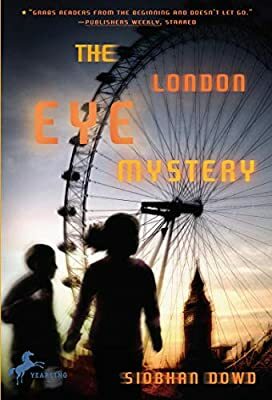 Despite their prickly relationship, they overcome their differences to follow a trail of clues across London in a desperate bid to find their cousin. And ultimately it comes down to Ted, whose brain works in its own very unique way, to find the key to the mystery. This is an unput-downable spine-tingling thriller–a race against time.